Welcome back to Fertility Friday! Curious as to why I have a photo of a family up here when we’re talking about those struggling with fertility? Well, rest assured, I placed it there for good reason. Today I’d like to talk about the struggle those with secondary fertility face with feeding their families while trying to nourish themselves, too. 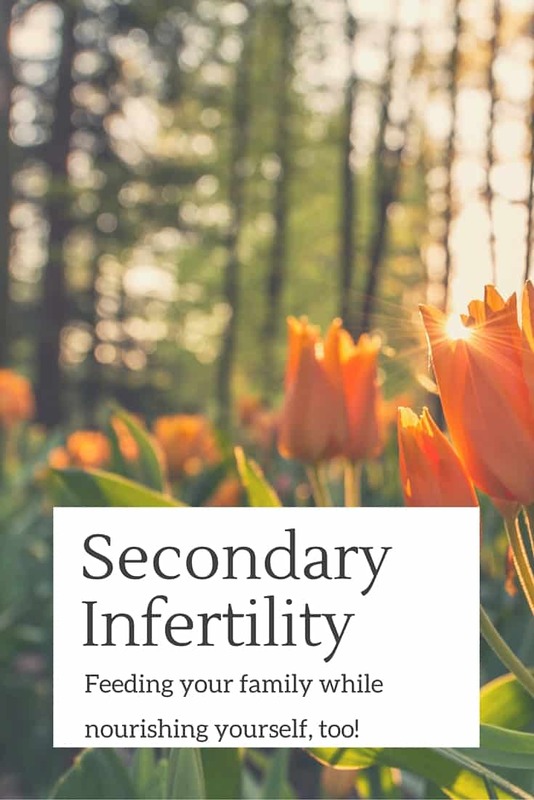 Secondary infertility affects those who have had one child (or multiple children) and want to expand their families, however experience problems with trying to do so. According to the National Survey of Family Growth, over one million couples experience secondary infertility. I’ve spoken with friends who’ve gone through this and their emotions and feelings parallel mine. 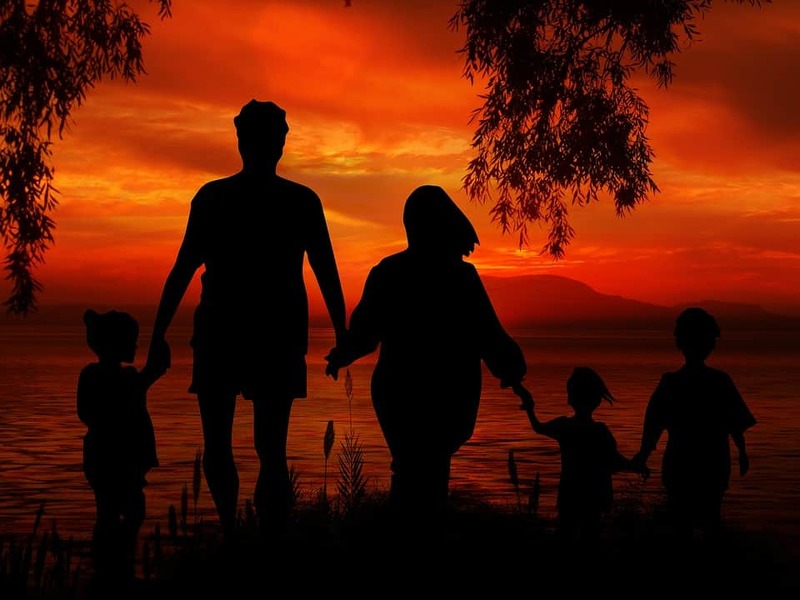 Just because they have a wonderful blessing at home (which all are undoubtedly so grateful for), they long to expand and experience more joy in their lives. They want the dinner table full, the minivan to close for comfort and the college bills racking up their credit cards! Jokes aside, this is a very real condition and I want to provide those struggling with secondary infertility the tools necessary to not only nourish your fertility, but also your family as well. That’s when the wonderful Dr. Sonali Ruder’s latest cookbook came to mind! Sonali is the author of over four books, one of which was the Natural Pregnancy Cookbook I reviewed last year when I whipped up her Parmesan Turkey Burgers. Needless to say, we all know she does great work. Not only is she a mom herself, but she’s got a culinary degree to back up her reasoning behind the super foods she recommends in her recipes. 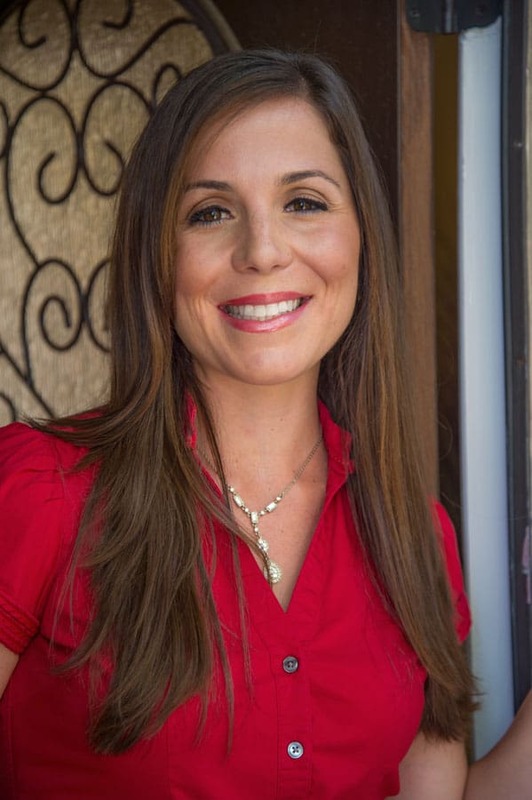 As a dietitian, she’s truly the physician you want on your floor when chatting nutrition for your patients! 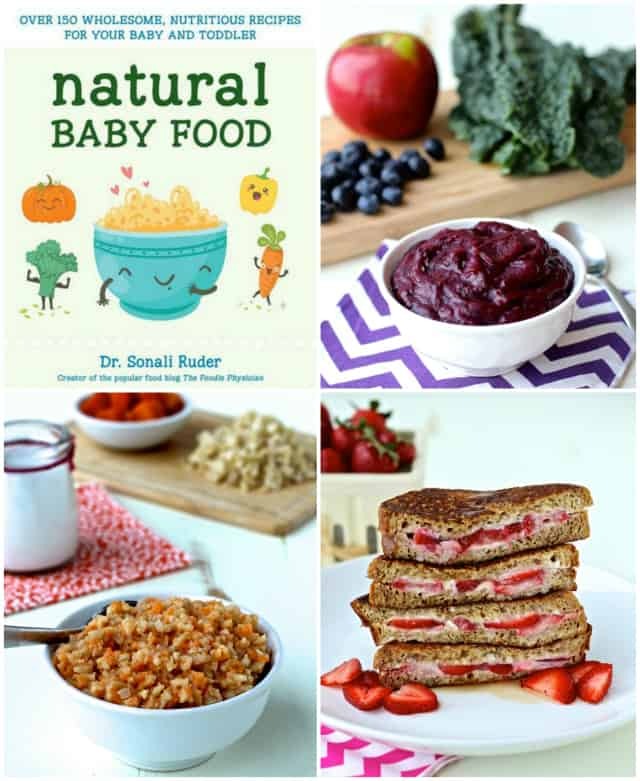 The Natural Baby Food Cookbook has over 150 recipes that are full of flavor, nutrition and love! I’ve seen mothers struggling with secondary infertility lose control of their healthy eating patterns, focusing on their families needs, forgetting their own. 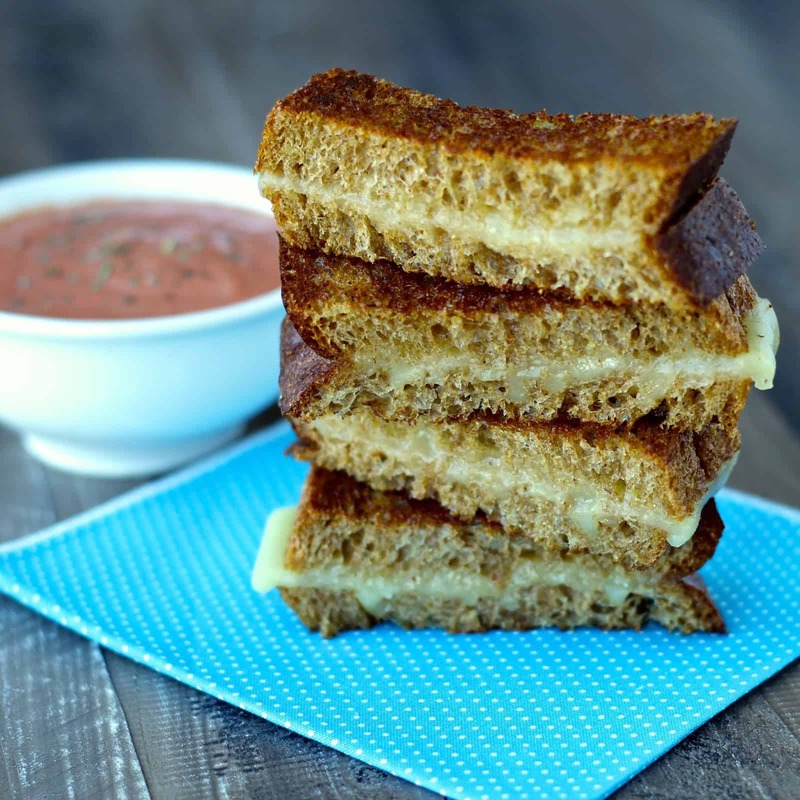 Sonali not only demonstrates the ease of preparing infant and toddler food in the Natural Baby Food Cookbook, but rounds out the book with nutrient dense, family friendly recipes using the purees and ingredients from the other recipes. This makes it easy for moms to not only whip up food for their toddlers, but also nourish their own body with wholesome, delicious nutrition. Mr. CEO and I have had our share of the Sweet Potato and Kale Quesadillas, the Cheese Dippers with Tomato Sauce, and the wonderful Tropical Rice Pudding. Hands down, all were amazing! Since I don’t have the little one (yet!) 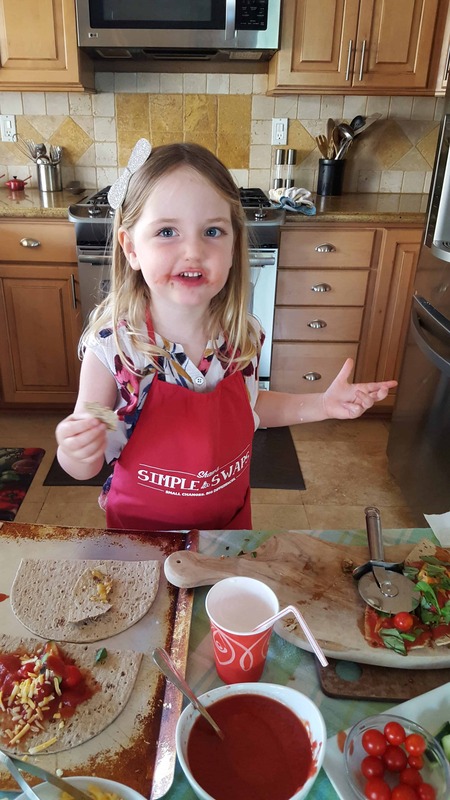 to create Sonali’s recipes with, I enlisted the help of my great friend’s three year old daughter, Avery. Chef Avery did a FABULOUS job whipping up Sonali’s Pita Pizzas with me for Meatless Monday! Check out the easy peasy pizza you can whip up on this Facebook Live video Chef Avery did with me. I highly encourage you to checkout Sonali’s wonderful blog, The Foodie Physician, and get your hands on her amazing cookbook today! I can tell you, even though she’s a friend and she sent me a copy of the Natural Baby Food, I would have paid good money for this! If you’re looking for more resources on where to turn while struggling with secondary infertility, Sara and I would like to remind you that Resolve is a great organization with sound information and support groups to help you nurture yourself, too, at this trying time. Great post on an important topic, Liz! Thanks also the wonderful book review! I tried to include a lot of nutritious recipes for the whole family to enjoy together. It’s tough enough being a new parent and as you said, it’s important to remember to nourish yourself too. You and Chef Avery did a fabulous job in your Facebook Live video- you must do more! Thank you Sonali for your great work! It truly is making such an impact in so many peoples lives who want to instill healthy habits in the kitchen with their little ones! Another great post Liz! I love the perspective of fueling both yourself and family at the same time. And the recipes in this cookbook look so good! Thanks Amber! I love Sonali’s work, and it is so heartbreaking secondary infertility is so often overlooked. I hope more people recognize through this that they are not alone!